In this article we’re going to discuss the best supplements to help aid you in building rock solid muscle. 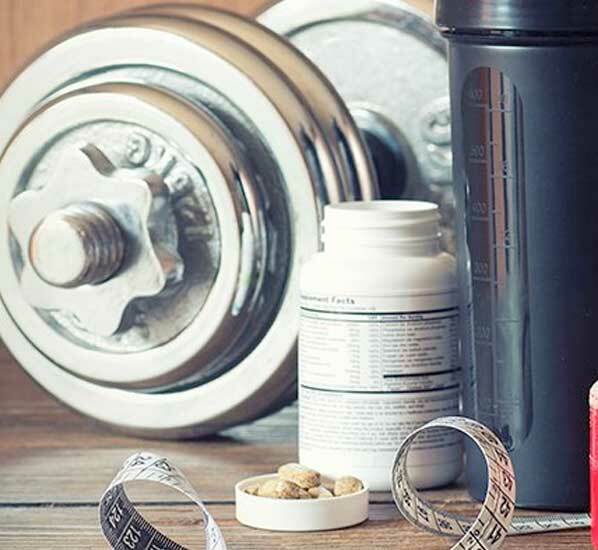 You may already be familiar with certain supplements if you’re a gym goer or simply someone who’s made a conscious decision to focus on a healthier lifestyle. From multivitamins to whey protein powder, the supplement umbrella covers an enormous variety of items for almost any intended purpose you can think of. The key to your decision with any supplement is ultimately understanding how each individual one works, what it does and therefore choosing something that can deliver the intended benefits as effectively as possible. If you want to build muscle, you need to be getting a sufficient amount of protein in your body. For the average person, you need around 0.7-1 gram of protein per pound of body weight. You could get all your protein from whole foods alone, but for some, this could be tricky. For example, if you're a 220 lb guy, you would need 220 g of protein. 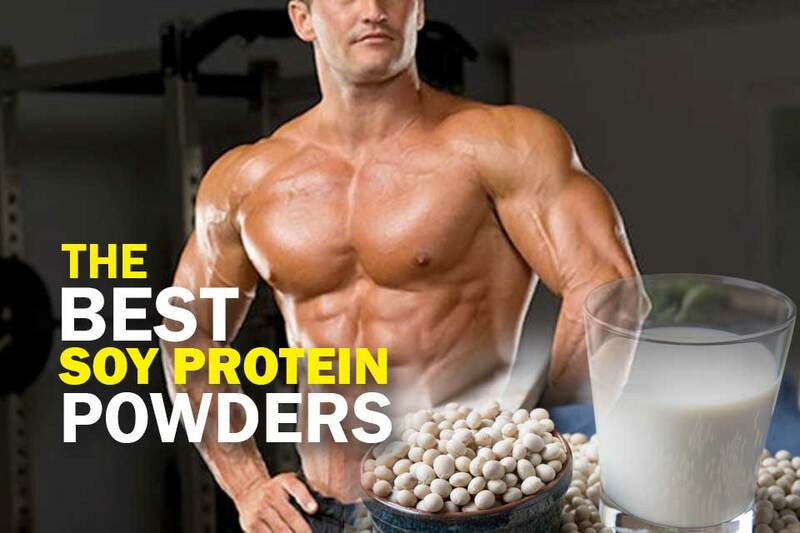 So of course you could take the easy way out and just down 25 grams of protein in 2 seconds. Eating should be fun and enjoyable. If you have to stuff your face with food just to get enough protein, then that's just not cool. Versatility - Due to the fantastic array of flavours available, the versatility is what makes it so popular. It can be used in cooking, combined with other foods and added to most dishes. Effectiveness - It’s high bioavailability means it is digested rapidly, and the sheer number of grams of protein per serving make it one of the easiest ways to ensure you hit your protein count. Price - It’s also cost effective. If you were to compare the price per serving to the same amount of protein you’d get from meat for instance, then you’d be paying significantly more for the meat. 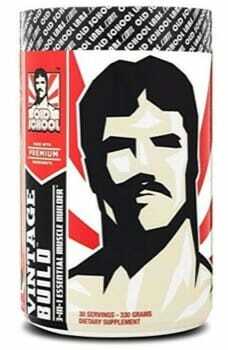 Though I prefer whey, it's not a one size fits all as well have different dietary requirements (e.g., vegan). Creatine is perhaps next in line for popularity and usage; almost every gym goer knows about or has utilised it at some point in the pursuit of enhanced strength and muscle mass. 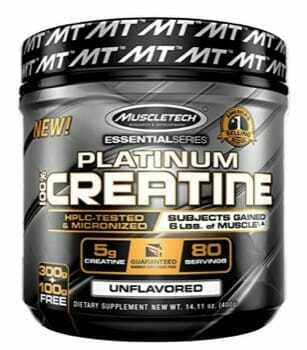 What’s interesting to note is that the human body naturally contains creatine within the muscle cells. 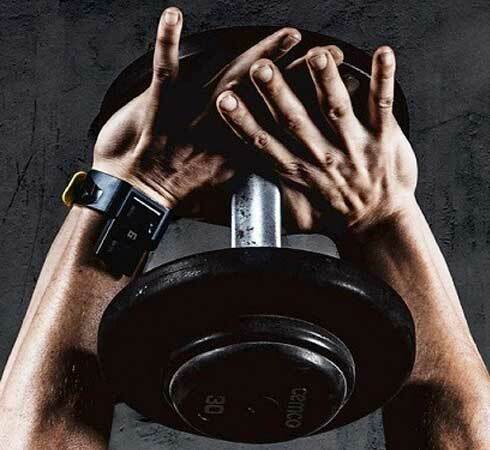 That’s what the body uses to power itself through intense sets of resistance exercise. Creatine supplementation theoretically boosts our natural creatine stores, allowing us to perform more reps over a slightly enhanced period. It is also potentially beneficial for lifting greater loads with greater force acceleration. Monohydrate - this has proven to be the most popular and well known. This is the most cost effective yet impurest form on the market; as with whey protein concentrate though, monohydrate is still effective enough to serve the needs of the vast majority of gym goers. Kre-alkalyn - regarded as being the most potent form, as it directly delivers creatine into the muscles with minimal wastage. Ethyl ester - also a potent form, performing the same task as kre-alkalyn, but with a slightly higher risk of some the creatine entering the system not being converted into a usable fuel source for the muscles. Risks associated with creatine involve water storage under the skin of the stomach, and mild stomach upset when consumed in large (or extreme) quantities. On the whole, studies show that creatine is a safe, tried and tested supplement. It is never a guarantee that creatine will work for you, however, it is safe to say that many people have experienced positive benefits. As a result, it’s worth trying especially in the initial years of your training to help you advance at an accelerated rate, no matter what the percentile increase is. Whilst it’s true that protein supplements contain amino acids, there are times when the protection of the muscles becomes incredibly important, more so than normal. This is especially true when dieting; on a low calorie nutrition plan, of the type a person my follow when “cutting” (removing as much excess body fat as possible from the body to reveal muscular definition) or simply losing weight in general, your body is at a higher risk of going catabolic and eating into its own muscle stores. 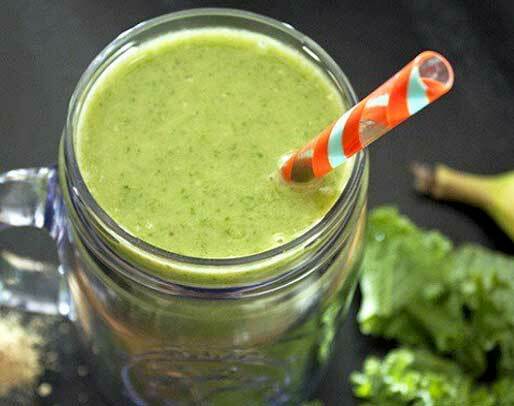 At times like these, branched chain amino acids come in very useful as a safeguard against this highly damaging mechanism of the body by providing it with the building blocks it needs to sustain growth and cell repair, even though there are not many nutrients available due to the calorie restriction taking place. Risks associated with BCAA use include potential headaches and nausea; should you experience any of these symptoms then you should cease using them immediately. Luckily side effects are very rare, and this is a tried and tested supplement that has passed the test of time. Our bodies contain a natural abundance of glutamine, much in the same way it does creatine. Glutamine is the primary foundation of 61% of skeletal muscle. It also serves to transport nitrogen to the muscle cells, this in turn helps to sustain activity. After a hard training session, your glutamine levels will deplete significantly; this leads to fatigue, lack of strength and impaired recovery. That is, unless you choose to supplement with glutamine and bring those levels back up to normal; as a recovery aid, glutamine has a proven track record for success for thousands of people. A common glutamine variant is glutamine peptide; this is a form of glutamine that has been bonded with other amino acids to increase its absorption rate. As with any of the more “premium” supplement options on the market, you’ve got to keep in mind that the increase these options will provide will at best be marginal. 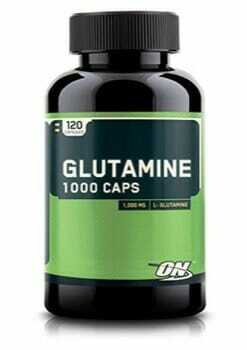 At present, there are no proven detrimental health risks associated with glutamine and its use. So, provided you stick with the recommended dosage, there is no proven reason to have any concern. To gain muscle mass, it all depends on how many calories you need as an individual to create the surplus needed to create growth. For some people, this surplus is only a few hundred calories whereas for others, it is literally a few thousand. 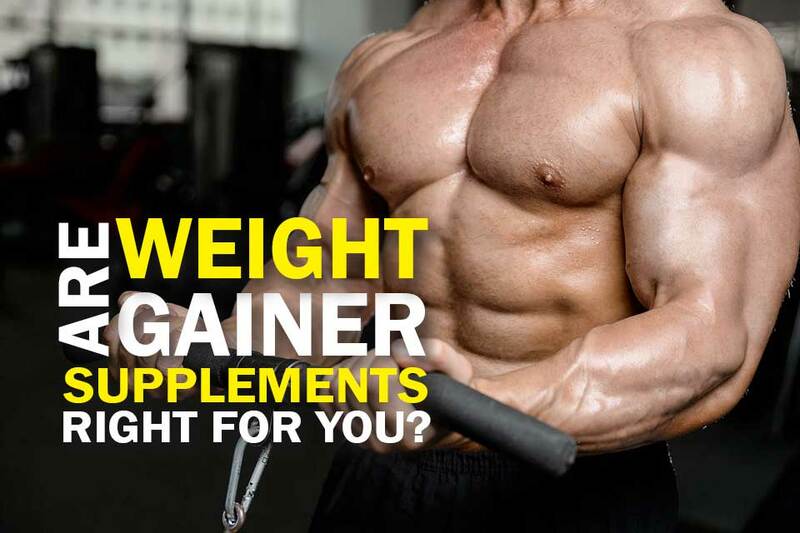 This is where mass gainers (or weight gainers) come into play; they deliver quite possibly the biggest bang for your buck of all the supplements due to the advanced array of ingredients some of them contain. 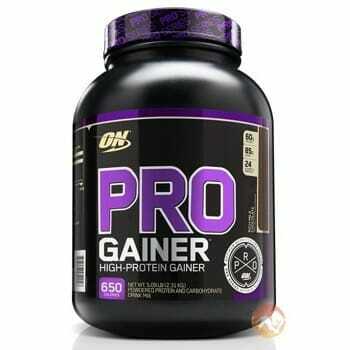 If properly implemented, mass gainers can actually replace standard whey protein (provided they contain a decent blend of proteins including a percentage of isolate to ensure they have a fast acting element should they be used post workout). Some of the best examples on the market contain compounds to help promote the release of growth hormone as well as a plethora of other vitamins and minerals to support everything from the growth of muscle, to your immune and digestive function. Any risk associated with mass gainers simply comes from buying ineffective mass gainers. In the bad ones, carbohydrate calories will mostly come from sugar and the fat they contain can be just as bad as the type you would find in an off the shelf cake. Also, the protein quality can be very diminished too; not offering a high protein count per serving and being a very low quality form of concentrate. Natural testosterone boosters exist for many reasons; whether its energy support, lean muscle mass development, or an enhanced state of mental well being, testosterone boosters can affect any and all of these areas. What’s important to remember is that until your early 30’s, you are already producing the maximum amount of testosterone possible for your body to process. This means any money spent on testosterone boosting products if you are under that age bracket could potentially be wasted. However, if you are 40 or above, these supplements could give you a much needed boost and impact your training sessions, energy levels and life quality positively. All of these naturally occurring items have been proven to have an effect on the testosterone production levels of some of the individuals using it, and will perhaps increase your strength and growth capabilities in the gym if used as part of a well structured nutrition and training program. Potential side effects are incredibly rare, however they do range from mild testicular pain to oily skin and bad boy odour. Should you notice any of these signs, it does not necessarily mean that you should stop using the product as these are all natural side effects of enhanced testosterone production. Should any one of these symptoms appear in a severe fashion however, immediately cease usage. You’ve probably already come across several weight loss supplements already; it’s very difficult to miss them, as next to protein supplements they are easily the most popular supplement type available today. They come in many, many different forms; some of which are absolutely fantastic, safe and help to boost your health whilst assisting with fat burning. Others are downright dangerous and should be completely avoided all together. In this section we’re going to look at natural products you can buy off the shelf to help assist with your weight loss goals. Being that they’re natural, provided you only take them according to the recommended dosage on the packaging, there’s a low risk of adverse side effects taking place. Fat burners are likely the most popular weight loss supplement available, and millions of men and women are buying them in the pursuit of elevated weight loss. They can work in either one or several ways; with the main aim being to help burn excess body fat away from the body. Or rather, to help use excess body fat as an energy source. You’ll find that some of the best options will actually include several of these elements at once, thus providing a very strong foundation for fat burning within the body. What’s incredibly important to note is that without a sensible nutrition and exercise plan in place, no fat burner on the planet is going to have a beneficial effect. This is a common pitfall many people fall into; they purchase a fat burner to replace good nutrition and exercise, when in actual fact, fat burners are designed to enhance your fat burning capabilities as part of a well formed program of health and wellness. This is the same with any supplement; it’s important to keep in mind that no one aspect of your positive habits can drop in favour of using them. They are designed purely as an assistive aid. Potential risks of fat burners are very low provided you are responsible in the manner you integrate them into your routine; perhaps in this instance more than ever, you need to pay very close attention to the recommended dosage on the packaging. Risks do include vomiting, excess sweating, nausea and even cardiac arrest; this is why you’ve got to be incredibly careful. Some fat burners are more potent than others, and exceeding the recommended dosage truly can be fatal. Sticking within the recommended guidelines for any natural fat burner will almost always be safe provided you read any medical warnings included with the product and dose responsibly. Keep the above points in mind and give fat burners a try if you want to enhance your weight loss capabilities! Fat controllers, or fat blockers as they are commonly known are a supplement designed to literally stop your body from absorbing excess fat from the diet. 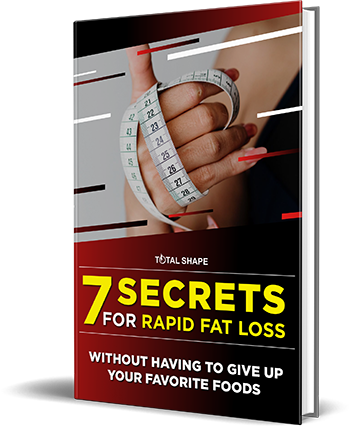 They work by inhibiting the body's fat uptake capacity and therefore diminishing the chances of any excess fat being stored on the body itself. There are many proposed ingredients allegedly capable of having this effect, and fat blockers will feature either one or several of them in order to achieve their effect. They are less “invasive” than fat burners, in that they are often non stimulant based therefore the risk of adverse side effects is much lower. In order to digest fat, our body uses its lipase stores within the intestine to break it down. Fat blockers work by diminishing the effects of lipase, thus allowing the fat to move through your system undigested and pass through the other end. Risks associated with fat blockers include gastrointestinal issues, oily stools and excess gas; if these symptoms manifest in any severe way, then you should reduce your fat intake further. Some of the best fat blockers can be found at the below locations: Oxford Pharmacy (only if prescribed by a GP due to a very excessive body weight level; the reason orlistat makes the list is because it’s arguably the most effective natural FDA approved option, and you may fit the criteria specified). 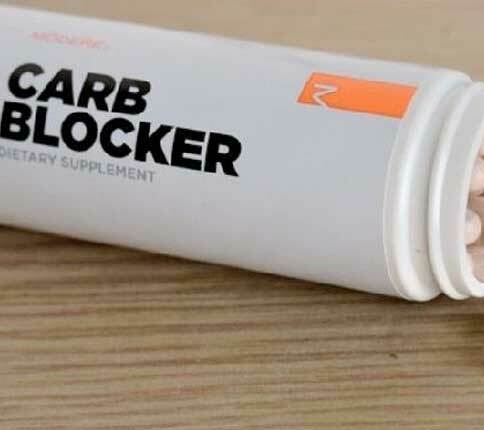 Carbohydrate blockers function in much the same way as fat blockers, except they block carbohydrate uptake from your dietary intake as opposed to fat uptake. They work by stopping carbohydrates from being broken down into sugars, meaning that there is no excess wasted energy to store as body fat. In reality, it is actually excess carbohydrate consumption that tends to be the main catalyst for weight gain as opposed to excess fat consumption. We simply take in far too much energy for our bodies to use at once, which is why the extra gets converted into fat. Some carb blockers also suppress appetite, helping to reduce cravings which when combined with the reduced uptake of sugar means the benefits are amplified as overall carbohydrate intake reduces. The carbohydrates that do enter the body are controlled further by the supplement. Overall, either one of these benefits could potentially impact weight loss greatly. Risks associated with carb blockers include gastrointestinal upset and excess gas; should you experience any of these symptoms in an extreme form then you should cease use. 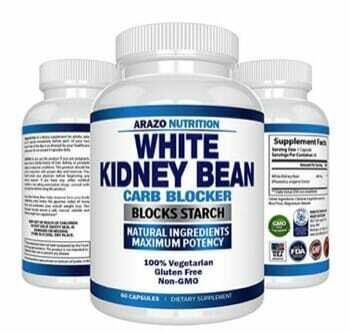 Trying either carb or fat blockers may positively impact your weight loss, and scientifically, both products certainly make coherent sense and reviews show that they definitely have been beneficial for some. Low risk of side effects makes them a safe option to try should you believe they’ll help. Appetite suppressants are potentially a highly effective way to promote weight loss without greatly altering any internal digestive processes. They do this by increasing serotonin levels within the body, thus making the user feel “settled” and alleviating hunger urges. Cravings often come from an “unsettled” mindset that is perhaps suffering from stress, or over thinking; what’s great about serotonin is that it promotes an internal state of contentment, thus meaning that cravings are far less likely. Whilst natural appetite suppressants are generally considered to be safe, there are some potential side effects involved. These include dryness of the mouth, sleeplessness, irritability, stomach upset and constipation. It would be wise to expect at least a little stomach upset during the initial integration phase when first using an appetite suppressant. This is not uncommon and should reduce very shortly after the initiation phase is over. L-carnitine has become an incredibly popular product for weight loss; it is very widely used by gym goers and fitness enthusiasts in the pursuit of a leaner physique. Carnitine works by transporting fatty acids in the system into mitochondria, where they can be used to produce energy. Basically, carnitine takes fat and turns it into a usable fuel source. It has also been linked with antioxidant properties, meaning it can potentially combat disease and illness. Due to the low risk of negative side effects, this makes carnitine a very strong choice as a good all in one supplement to include in your arsenal. 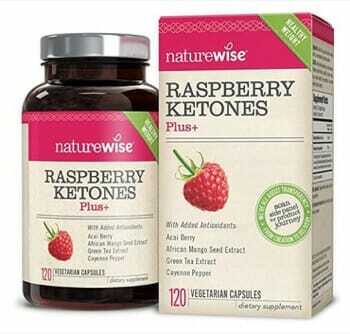 Some people have reported high blood pressure, sleeplessness, headaches and diarrhea whilst supplementing with carnitine. Herbal weight loss remedies have been tried and tested sources that have been consumed by humans for years. This includes the likes of green tea which is not only useful as a weight loss aid, but a incredibly valuable health resource for the body for a spectrum of other reasons too. 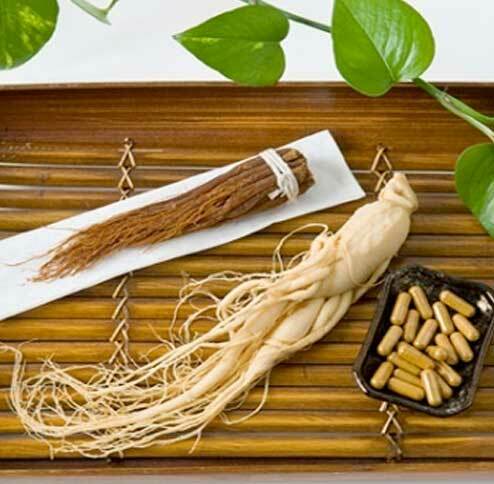 This list comprises of only a few of the popular herbal options available. How these supplements individually work varies greatly as many of them will positively impact more than one aspect of your body at once (including combating disease and raising energy levels) as well as reportedly having a direct effect on weight loss. Some qualities include making the gut feel “full” for longer, therefore reducing hunger. Others include directly breaking down fat cells or blocking fat absorption, and others simply elevate the heart rate and / or levels of serotonin to assist with enhanced calorie burning and craving suppression respectively. Side effects associated with herbal weight loss supplements include stomach upset, headaches and occasionally skin issues. You could argue that every health supplement can improve your workouts due to the fact that they either enhance the effect of your training, or allow you to train better in the first place. However, some supplements have been specifically engineered to directly alter the course of your workout in every way imaginable. These products make such a direct and proven difference to your training. A pre workout is simply an advanced energy drink, often higher in caffeine content that will deliver a high state of mental and physical readiness. Usually, there are a plethora of B vitamins included, as well as elements like creatine and several amino acids designed to promote improved blood flow and allow the muscles to function to their maximal capacity. In terms of potential risks, they are the most dangerous of all of the supplements for a number of reasons. After sustained use, the body has a tendency to develop a tolerance to pre workouts; this can lead to people taking more than the recommended serving size in the pursuit of the effects they achieved when initially trying the product. As a result, several deaths have taken place, and some are so powerful that even when sticking to the recommended serving size, they have fatally affected users with existing heart problems or other medical issues. Intra workout supplements are engineered to be used in the middle of your workouts to safeguard against catabolism. If a pre workout is an advanced form of energy drink, then intra workout supplements are usually an advanced form of branched chain amino acids containing extra benefits. They come in many different flavours and can contain many different ingredients to assist with your muscular growth and recovery process. Some intra workouts contain compounds to help raise growth hormone and testosterone production (like tribulus for instance) and will typically base themselves on an amino acid mix (of the same variety as BCAA’s) for muscular sustenance. Intra workouts are at their best when you are following a calorie restricted eating plan as they are ultimately designed to help replace the building blocks your body needs to ensure muscle wastage does not take place. 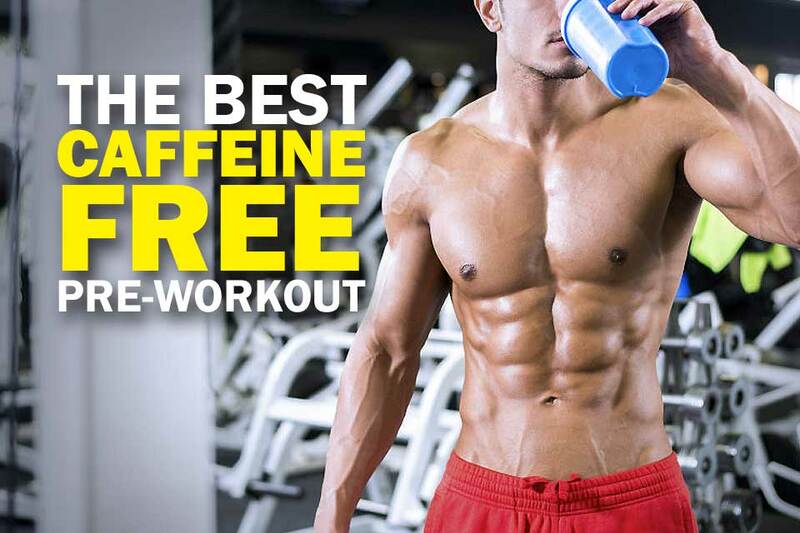 Any potential side effects would be incredibly unlikely, however being that some intra workout supplements contain stimulants you may experience caffeine related symptoms. Unlikely side effects include headaches, stomach cramps and nausea; though the risk is low. 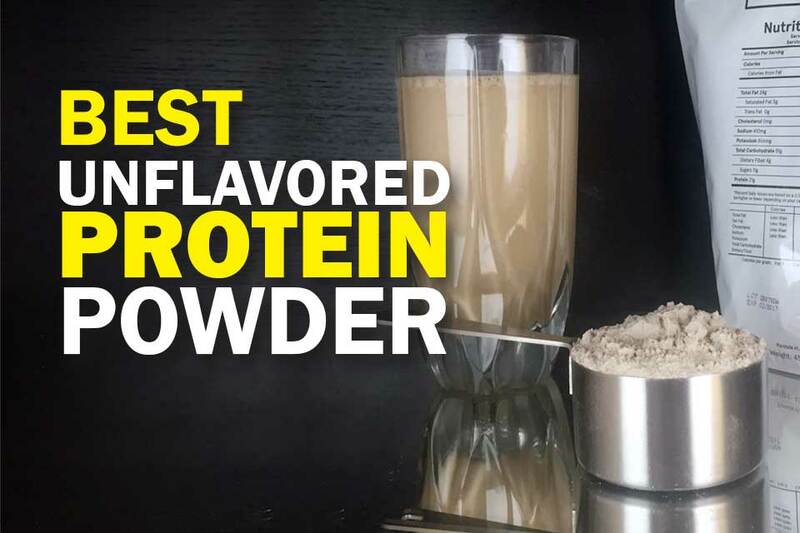 Though you can simply use BCAA’s as an intra workout product, some of the options available within this category may be superior due to added ingredients. Post workout supplements are an absolutely vital component (and the most important out of all three). Without adequate post workout nutrition, the benefits of your training session will be critically diminished. It’s unbelievably important that you take in at least some fast acting protein and carbohydrates within the hour long window after a training session. 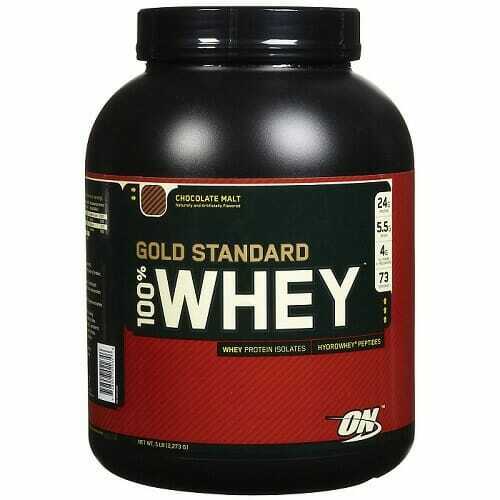 You can simply have some protein powder and a fast acting carbohydrate source post workout. However, the best post workout options contain everything from high quality protein blends (usually featuring casein, isolate and concentrate mix to ensure both rapid and slow release integration of amino acids) to supplementary ingredients designed to improve protein uptake and energy replenishment. There are not many potential risks associated with post workout supplements, though the ones that do exist include stomach upset, nausea and headaches depending on the ingredients used. It’s unlikely that you will experience any of these side effects, and generally speaking post workout products are very safe. Technically, anything that has been designed to boost your energy levels would class as an energy enhancing supplement. This means the likes of monster, red bull and relentless fall into this category. When you consider the sheer number of energy drinks available on the market today, it’s actually quite mind blowing how widespread these supplements have become. Why Do I Need Extra Energy? There’s nothing you can’t do with more energy; this is especially true within the context of any fitness goal, as energy fuels every aspect of your training process. It’s also true that energy can affect your nutritional success too; during low energy periods, cravings are at their worst and this is when people’s dietary regime tends to break and suffer the most. With more energy, you have more resistance to temptation. When training, low energy means your workout will directly suffer; you simply won’t feel like giving it your all, and as a result, you risk not being able to maximise the positive benefits of your workout. You’ll also need energy for weight gain for the same reason; lack of intensity during workouts isn’t going to stimulate the muscles enough to lead to growth. Next to sugar, this is perhaps one of the most commonly used items on the planet. We often rely on caffeine to set us up for the day, or carry us through particularly stressful periods where an extra “kick” is needed to liven us up. 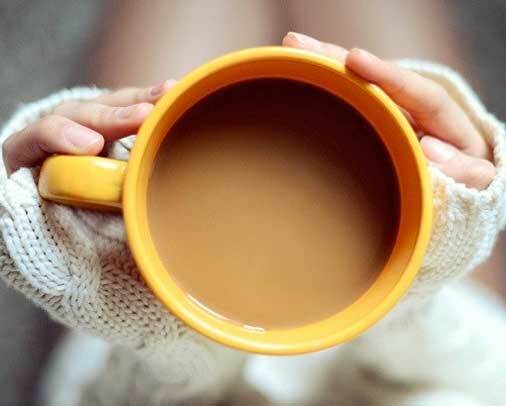 Caffeine can be found in a number of products, including coffee and tea. It is also the the primary ingredient in most energy drinks and the reason your mental alertness can immediately spike after drinking them. Incase you’ve ever wondered how it actually works; caffeine simply stops adenosine from binding with adenosine receptors. Adenosine is what signals our brain to rest or sleep, therefore without them binding together, the urge to sleep or rest is greatly reduced. Side effects with caffeine will often come from overuse, and can include migraines, stomach irritation, skin irritation and sleeplessness. You should try to only use caffeine as and when it is needed, as it is quite addictive and overuse could lead to any or all of the above issues should your intake not be moderated. You can of course also get caffeine by purchasing tea or coffee too; the caffeine in coffee digests more rapidly and is higher in concentration than the content in tea. This is something worth keeping in mind if you need a quicker acting hit. They’re designed to deliver an instant hit of energy to the the body at times where fatigue may be high and the body needs something to take it through either a rigorous training session or a tough task at work. One of the main components of the vast majority of energy drinks is caffeine; as previously discussed, this stimulant can deliver an instant pick me up. You’ll often find that most energy drinks contain a blend of B vitamins too; B vitamins are responsible for energy release and the release of serotonin within the system. You can acquire most energy drinks in either sugar free, or full sugar variants. Sugar free variants are brilliant for those on a calorie restriction as they allow the user to get a much needed energy boost without the excess calories. 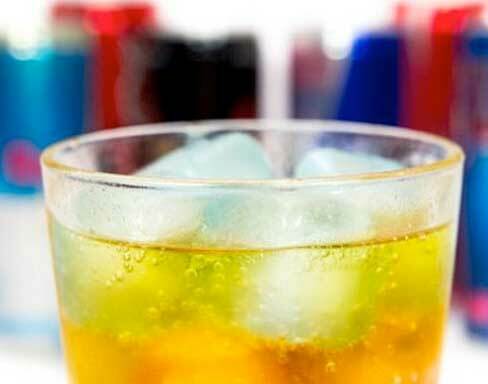 Risks associated with energy drink consumption are similar to caffeine; they tend to set in when people abuse them and far exceed the normal (one singular serving would be classed as normal) serving quantity. Side effects can include nausea, vomiting, irregular heartbeat and cardiac arrest. Use these products as and when needed only, and try not to grow dependant on them. Some energy drinks are caffeine free and instead achieve the energy boost effect through the integration of vitamins and minerals proven to help aid in energy release. If you’re caffeine sensitive these may be a better option. As with herbal weight loss remedies, herbal energy enhancers are a great option if you’d prefer to stray away from anything that’s been highly manufactured. Provided you’re responsible with energy supplements, you’ll usually find that you never experience any negative side effects. The vast majority of these products are made with ingredients sourced from plants, including green tea extract, kola nut extract, guarana and ginseng. The energy being provided here comes from a very natural source, and is produced using very natural bodily processes. This means you don’t get the instant “buzz” associated with many energy drinks, but you do get a different, more permanent form of energy that will potentially last all day. Potential side effects include headaches, skin irritation, irritability, dizziness and fatigue. This is however very unlikely, due to the sustained release of the energy. Due to the low level of risk associated with herb based energy boosters, they are certainly worth trying if you don’t like stimulant based products. Energy bars will typically consist of a low GI (glycaemic index) form of complex carbohydrate that can steadily release into the system, leading to sustained energy for physical activity. Some bars are hybrids and contain some fast acting elements, whereas others can be fairly high in glucose to serve as a more immediate energy source and contain less complex carbohydrates. Some energy bars are great meal replacements as they contain an array of vitamins and minerals along side healthy carbohydrates and fats. Others should really only be consumed shortly before or after exercise. Risks involved with consuming them are typically associated with their consistency; much like mass gain protein powders, some bars may as well be found down the sweet aisle due to them so closely resembling chocolate bars and other unhealthy options. Due to their convenience, there can sometimes be a tendency to use them as a replacement for several meals, as opposed to just one; as they are not a balanced source of whole food, they should be used sparingly. Still, they serve a good purpose and do make life a little easier due to coming pre-made and ready to eat, and if you choose a high quality product then it’ll definitely give you the sustained energy you need to perform your chosen task. Potential weight gain is the only other possibility should overconsumption take place) so feel free to implement them into your routine should you be in need of a convenient pick me up. As you can see, there are more potential reasons for than against. In a word, yes - It really depends the vast majority of the time at least on whether or not you stick to dosage guidelines and use the product as it’s intended to be used. Some micronutrients can be toxic to the body when consumed in enormous doses, and with many products often being a crossover and containing several different ingredients at once (especially in the case of weight gainers) you really do have to ensure you’re sensible with how much you ingest. Excess strain on the liver. 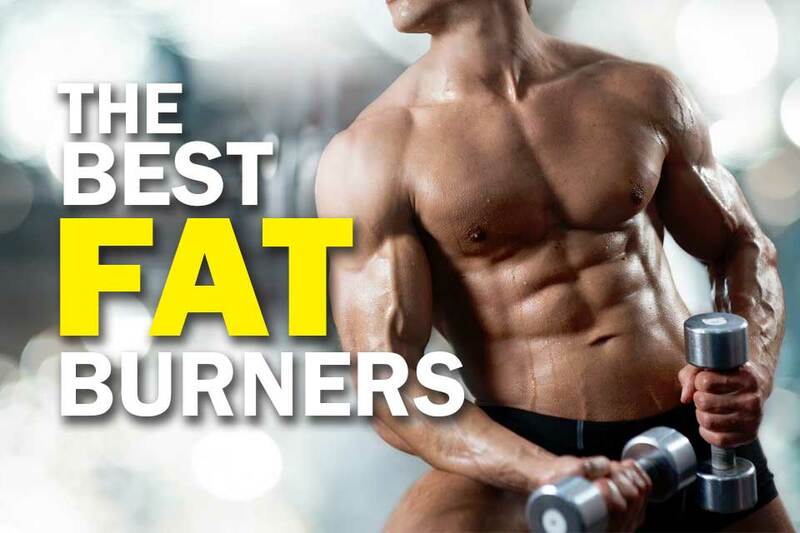 It could be said that in the case of fat burners especially, they are perhaps marketed towards people who feel that they are not only in a desperate situation, but also have relatively little experience with supplements and sometimes physical activity. This can lead to a less is more approach, meaning a higher dosage than is recommended gets ingested, then as a result, the heart rate can elevate to highly abnormal levels and damage can easily get caused to internal organs. This is at least as true if not doubly so with pre workouts and energy drinks; after taking them a few times the body often starts to develop a tolerance. Following this, it’s not uncommon for people to start recklessly increasing the dosage to a point where it far exceeds what’s being recommended by the supplier. This can and has previously ended fatally in both cases; it’s never a risk you should take. Generally speaking, simply following the recommended guidelines for any product will always carry almost no risk whatsoever provided you’ve read any associated health warnings on the product box and consulted with a GP prior to use. Simply put, play safe at all times; that’s how any supplement is intended to be used. It is believed that the liver can only process so much protein at once, and the rate at which it is able to extract amino acids from protein certainly has a maximum upper case limit. This limit is going to fluctuate slightly from person to person (the previous link contains further information on this) but what’s important to take on board is that there is a wall for everybody, and it can be hit. As with any organ, should the liver have too much demand placed on it, then over time you risk damaging it and adversely affecting its functionality. With the liver being an absolutely vital component of your overall health, it’s incredibly important that it is not in any way compromised. Stick to the guidelines above and don’t take in unnecessary amounts of protein at once or throughout the day; any adaptation to exercise can be created through very simple nutritional principles and training. It’s always best to stick with what works. Dosage truly depends on your body weight; you’ll typically find that one scoop of any protein supplement is going to deliver anywhere between 20 - 30 grams of protein. As the body only needs a marginal increase in protein intake to lead to muscle growth, there’s no genuine research in existence to prove that extreme intakes of anywhere up to 400 grams per day will actually have the beneficial effect desired on muscle growth. As a rule of thumb, it has been stated the body can only absorb at the most 30 grams of protein in one sitting; at present, no conclusive evidence exists to contradict this. It’s always best to ensure your total daily intake doesn’t exceed the 1.2 - 1.4 grams per pound of body weight ratio, and that you don’t try to consume an amount exceeding 30 grams in one sitting. This will at the very least minimise wastage. 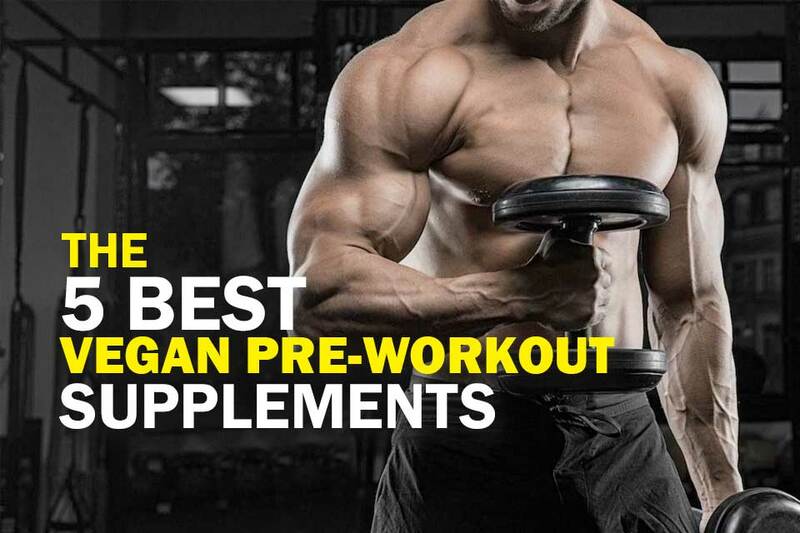 We’ve covered a very comprehensive array of the most popular supplements. You should now have a good solid idea of not only how these supplements work, but also which qualities you need to look out for. By following these guidelines, you’ll almost always have a positive experience when using supplements. Should I always buy a supplement if it can help me with an existing issue I'm faced with? You should always seek to solve any bodily based deficiency or issue through nutrition first before considering trying a supplement, and you should never replace one with the other. Should I only buy natural supplements? Unless it’s being sold by a respectable trading source, then you simply can’t guarantee the effect it’ll have on you. How long should I wait before I stop using a supplement if I experience adverse effects? First determine whether or not the adverse effects are to be expected when initially taking the supplement. If yes, then wait for the commonly suggested initiation period to end before making a decision. Should adverse effects continue, or should they be very severe in nature to begin with you should stop using the supplement immediately. How do I know if a supplement will work? Only stimulant based supplements are actually guaranteed to work due to the effect they have on the brain and heart rate. All others are entirely dependent on your personal physiology. Always check effectiveness of a chosen product by comparing user reviews. Again, consider the intended purpose of the supplement and compare your experience with those of other users. With some products you will know immediately that they have worked (energy boosters) but for others, it’s always a good idea to check common symptoms of the supplements successful integration into your system. Should I take anything I've been given, or take something someone else has recommended I take? 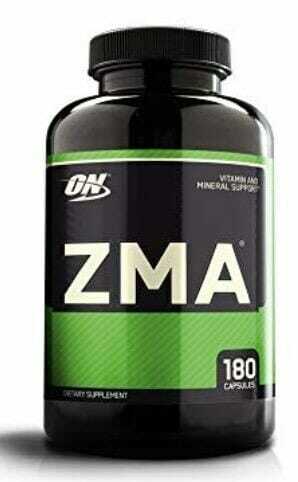 Only take a supplement that has been provided by a trusted retailer with an intact security seal. Never take any supplement that you have not purchased directly and thoroughly researched before buying. So here we are, at the end of our initiation into the supplement world. In truth, we have only scratched the surface of the tremendous number of supplements available on the market; the options you’ve been studying are simply the most popular and widespread categories available. Should you take on board any warnings given throughout these pages in regards to dosage, side effects and how a supplement is used; you will no doubt have a good experience with your chosen product. Never hesitate to ask for professional advice should you find yourself confused or lost over a certain supplement; you can never ask too many questions, and you can never receive too much advice. Buying a supplement is always an important decision, and at the least it’s important to ensure that no money gets wasted. Good luck in your gym based endeavors, and happy training. Yo, I was searching for the best workout supplements for muscle gain and I’m glad to have stumbled upon this article. Very good read with lots of information about gaining (or even losing) weight. This is just what I need. Thank you!